Available in a variety of eye-catching finish options, the One Module Composition 2014-003 from Tema serves as a wonderful addition in a modern or traditional setting. 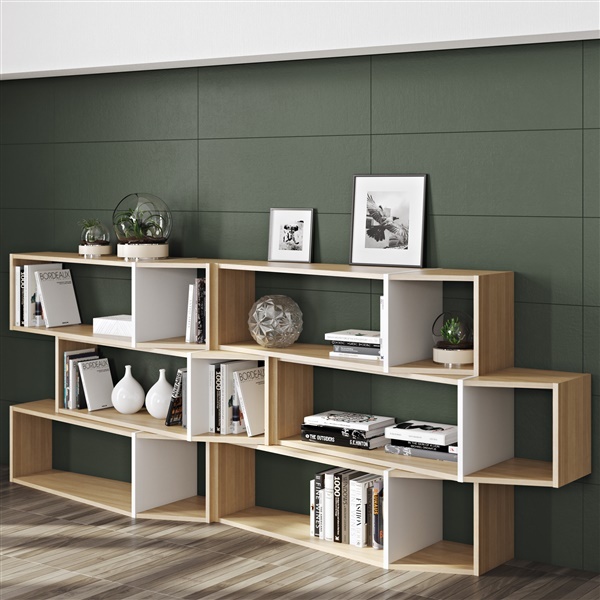 This stackable shelving unit offers a wave-like design that helps the piece make a distinct impression. Also, the shelving unit consists of natural oak veneer in a matte white or matte black finish, ensuring the piece will sparkle consistently. For a top-notch shelving unit that will dazzle day after day, the One Module Composition 2014-003 represents a terrific choice.